There’s a reason social media is a big deal. By its very definition, it’s a platform, in this case the Internet, in which people can interact with and share information to the public. And to think the whole concept came from the idea of communicating with faraway friends and relatives. Still, there’s much that can be taken from the initial and contemporary definitions of the term. The moment businesses tried their hand at social media, the game changed. They possessed a real-time tool to monitor statements concerning them that were posted by users on the same platform. A few technological advances later, even content from non-social media websites became possible sources of good and/or bad news about a specific company. Sound familiar? That’s a facet of social media analytics for you. Then again, aren’t business entities bound by ethical protocols and thus shouldn’t be posting willy-nilly? It’s not like they can openly lambast their competitors or publish malicious posts just to further their own agendas. Different from how people use their profiles for personal reasons to share updates and events with their friends and family, official corporate accounts are rather more sensitive—most of the time, anyway—about what they share. Owe this to their social media strategies. And like them, you might know a thing or two about planning a campaign that can net you a good number of customers. But just because you have one doesn’t mean it’s the best, and it doesn’t mean you’re going to succeed as well. 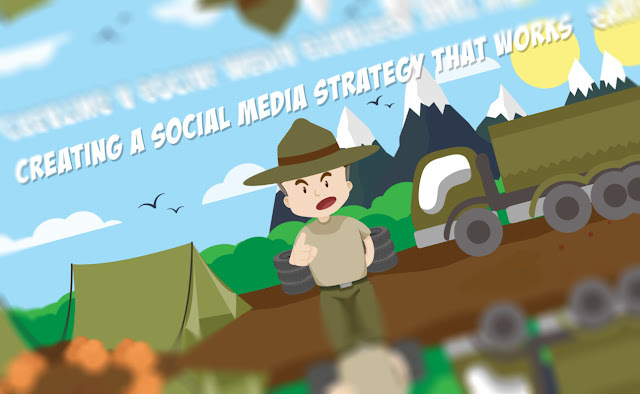 How do you create a social media marketing strategy that doesn’t flop? And how do you execute it without fail? It turns out that sticking to your roots and careful planning are good processes to start with. Check the following infographic from SlideGenius and see whether you have the resources for a winning campaign. Rick Enrico is the CEO and Founder of SlideGenius, a presentation design agency in San Diego, California. He regularly publishes expert presentation and marketing tips on the SlideGenius Blog. You can connect with him on LinkedIn and Twitter.